It’s official: Ericsson(s eric) is now building every major LTE network in the U.S. T-Mobile USA revealed today that its current 3G and HSPA+ equipment suppliers, Ericsson and Nokia Siemens Networks(s nok)(s si) would handle its new $4 billion LTE rollout, deploying 37,000 next-generation base stations that will support an eventual upgrade to LTE-Advanced. The announcement, made at the start of the CTIA Wireless show in New Orleans, isn’t that big of a surprise given that the relationship between carrier and network vendor is pretty tight. But LTE is entirely new wireless technology requiring a brand new set of gear. If T-Mobile was going to dump one of it’s long-time vendors, it would have done it now while it’s between in the gaps in generations. It’s what Verizon Wireless(s vz)(s vod) did when it moved to LTE, swapping out its entrenched CDMA supplier Nortel for Ericsson (though Ericsson wound up acquiring Nortel’s network assets shortly afterwards). Sprint did the same, replacing Motorola(s msi) with Samsung. Sweden’s Ericsson now is supplying LTE gear to all four of the major U.S. operators, as well as to tier II operators MetroPCS(s pcs), U.S. Cellular(s usm) and Canadian carrier Rogers Communications(s rci), helping cement its dominant position atop the global 4G market. Finnish-German vendor NSN was in the opposite position. It needed to keep T-Mobile a customer in order to remain relevant in the U.S. 4G market. T-Mobile is now NSN’s sole LTE radio contract in the U.S., though it is building the Telus and Bell Mobility 4G networks(s bce) in Canada and is supplying parts of Verizon’s LTE core. The wireless powers in the U.S. seem to have won their turf against Chinese challenger Huawei, which is has been vying to establish a mobile network beachhead in the U.S. Huawei has won Canadian business, sharing Telus and Bells’ contracts with NSN, and it has a few small U.S. contracts. T-Mobile, however, was its last chance of landing a major North American deal. Huawei has a history with T-Mobile as well. Huawei officials claimed that the vendor was a finalist for T-Mobile’s original 3G deployment, only top find itself undercut in price by Ericsson and NSN. T-Mobile is the last major U.S. operator to the LTE party – it’s network won’t go live until 2013 – but its timely tardiness gives it a chance to play with some of Ericsson and NSN’s newest toys. T-Mobile said it would be the first carrier in North America to deploy antenna integrated radios, or remote radio heads, key design elements in NSN’s Liquid Radio architecture and Ericsson’s Air Integrated Radio platform. 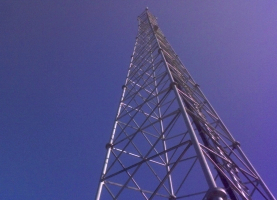 By moving the radio out of the base station and onto the antenna mast, there’s far less need for energy sucking power amplifiers and the AC units necessary to cool them. That means T-Mobile’s network will be far more energy efficient than its competitors. But there are other benefits as well. By divorcing the base station from the radio, T-Mobile could pool its baseband resources, eventually virtualizing the intelligence of its network in the cloud. T-Mobile will also get access to NSN and Ericsson’s latest base station designs, which will support many of the bandwidth-boosting features of LTE-Advanced. Cloud-RAN and LTE-Advanced are still very much technologies of the future though. What T-Mobile is getting next year is an LTE network that can match speed and operational efficiency with its nationwide competitors. And for now, that’s more than enough.